The Major League awards! The Minor League awards! 9am to 4pm Monday thru Wednesday with lunch 12 to 1pm. 9am to 1pm on Thursday. Two divisions: Major & Minor! For more info, please contact the camp host, Patrick County Head Coach Heidi Moore at Heidi.moore@patrick.k12.va.us. Jessica is the former head coach at Ferrum College. In her two years there (2013 and 2014), she won more matches than the previous six! She has coached one year of club vball. Jessica attended Ferrum and played vball for 4 years and sball for 2 years. She earned four straight All-Conference volleyball honors from the USA South Athletic Conference from 2006-09, and received the 2010 Ferrum College President's Cup. The award is presented annually to the graduating student-athlete who best exhibits excellence in academics, campus and community leadership, and character. You can contact her at jessicaflanagan102@gmail.com. Hannah has played 2 years as an OH at Averett University. Both years she has been named 1st team All-Confernece. In her freshman year she finished the season with the 3rd highest kill total in all of NCAA D3 and was also named USA South Rookie Of The Year. In her 2nd year, she had the highest! Plus she was named Conference Player Of The year! Hannah is a 2014 graduate of Dan River High School, near Danville, Va. She played 6 years of school vball and 5 years of club vball. She played on Coach Houser's team in 2012 that attended Jr Nationals in Columbus Ohio! She was named 1st team all state her senior year at Dan River. You can see a nice article about her high school accomplishments here, and an article about her college feats here! You can contact Hannah at hannah_shields3@yahoo.com ! Sam has completed two seasons on the volleyball team at UVa-Wise! Sam graduated from Roanoke Catholic School where she was a part of their 3-peat state championship! In the past 2 summers, Sam has helped with 6 STAR camps and this past summer helped prepare the Roanoke Catholic team for their fall season! 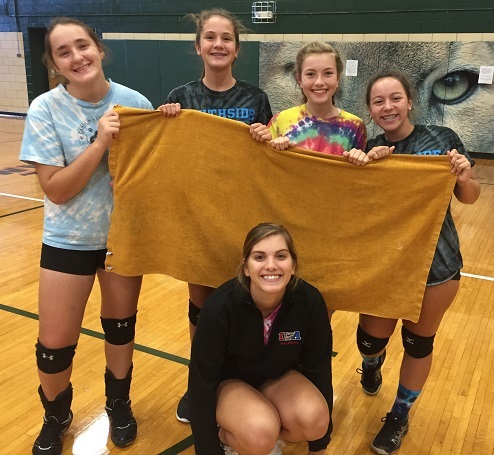 She played club vball for 5 years in Roanoke, Va. You can reach Sam at SamEdge29@gmail.com! The Steal The Bacon Champions! The Steal The Bacon Runner Ups! and the Major League award winners are here! The End-of-camp announcements, awards and final "Together We Will"!! According to NCAA rules, graduates ARE eligible to participate in a summer high school camp. 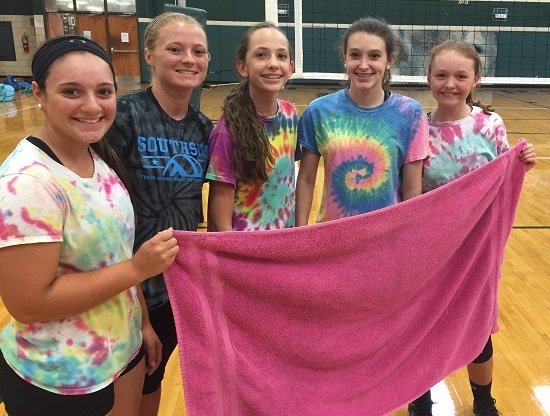 This will not get them in any trouble and it will not jeopardize their college volleyball eligibility. Speak to Coach Moore if you have questions!.